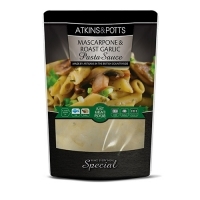 A classic gourmet sauce made with plenty of roast garlic smothered in mascarpone and white wine. Delicious with chicken and pancetta, incredible with seafood. 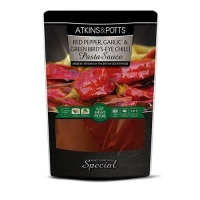 A quick to use, flavoursome sauce with sweet red peppers and a generous garlic and chilli glow. Perfect served with pasta cooked al dente. 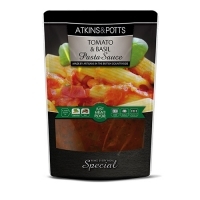 A classic gourmet sauce made with roast peppers, onions, courgettes and a generous helping of rich tomatoes. 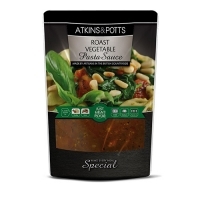 Perfect for pouring over linguine or tagliatelle, also excellent with roast lamb or other red meat. The classic pasta sauce, carefully prepared by frying onions and garlic in olive oil before stirring in freshly chopped tomatoes and simmering gently with plenty of basil. Perfect with pasta cooked al dente, also excellent poured over trout steamed in a little white wine. 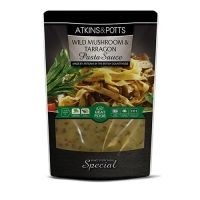 A rich creamy pasta sauce balancing the mellow flavour of wild mushrooms with aromatic tarragon. Perfect served with pasta cooked al dente.